Complex has an outdoor pool, hot tub and fitness facility! These self contained Whistler vacation homes are fully equipped with everything you need. Centered in the complex are an outdoor pool, hot tub and fitness facility. 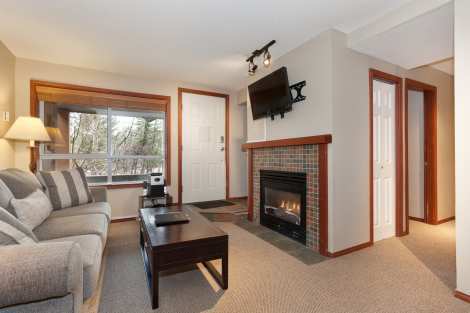 Enjoy the convenience of Glaciers Reach's prime location in Whistler Village North, across from the Whistler Market Place. Glaciers Reach is a short walk or a free shuttle ride to the base of Whistler and Blackcomb Mountains. Ski access with resort shuttle 5 mins.